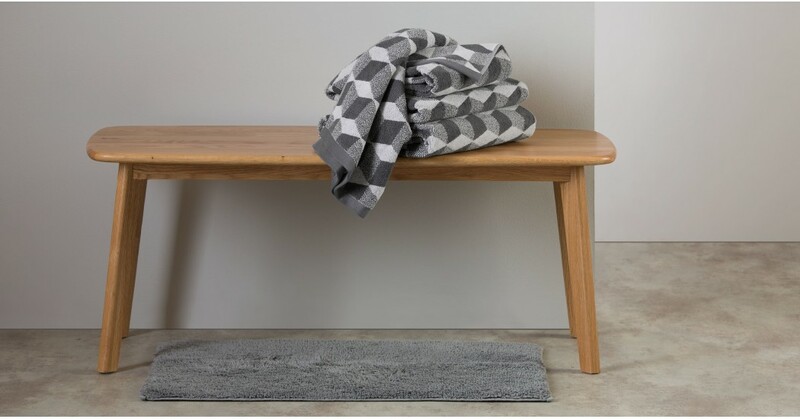 Upgrade your bathroom with these on-trend Cubus towels. The bold, geometric design gives them a contemporary touch. Available as hand and bath towels as well as bath sheets, they’re sold in packs of 2, so you'll never be without for long. The two-tone design gives our Cubus towels an almost 3-D effect. Lovely and soft, these super-absorbent towels reduce drying time – we love anything that saves a few precious minutes in the morning. The Cubus collection was made exclusively for us in Portugal, a location famous for crafting premium pieces. These 550GSM pure cotton towels are super-soft and luxurious to the touch.